Cutaway of the materials / layers of the Brooklyn Bedding #BestMattressEver (TitanFlex): 1) 2" TitanFlex comfort layer, 2) 2″ TitanFlex support layer, 3) 6″ high-density base foam. Brooklyn Bedding is a factory direct manufacturer, every mattress you buy is personalized to fit you and built to order. We use the highest quality components to ensure you comfort that lasts a long time. We also offer a 120 day trial on all of our mattresses, if the comfort is not to your liking simply exchange your topper for a different firmness, absolutely free. Quilted Breathable Cover: A breathable and quilted pillow top cover that sleeps cool and offers luxurious cloud-like comfort. Our cover is quilted in-house – we believe in using only the highest quality fabrics, no shortcuts. TitanFlex Foam: TitanFlex is made with open cell material and includes thermal titanium beads. TitaniumGel will help to alleviate any body heat before it becomes trapped in the mattress. TitaniumGel also helps to increase the overall durability of the foam, making it the longest lasting hyper-elastic material on the market. Poly Foam Core: A well-designed and quality core significantly affects the durability and longevity of a mattress. We use a high density, supportive base foam; Perfect for longevity yet still comfortable so you don’t bottom out. No matter the weight range, this core will not sag prematurely and will last 20+ years. 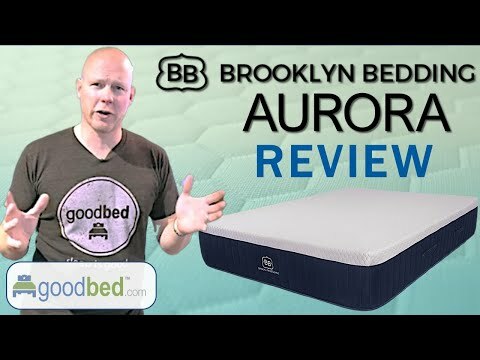 The Brooklyn Aurora line has 14 ratings and 0 reviews on GoodBed. The Brooklyn Signature line has 21 ratings and 1 review on GoodBed. 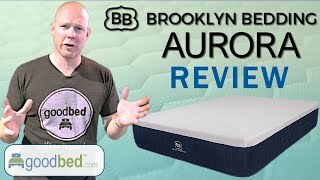 The Brooklyn Addison line has 3 ratings and 1 review on GoodBed. Brooklyn Bedding mattresses have 294 ratings and 9 reviews on GoodBed. The Brooklyn Memory Foam line has 2 ratings and 0 reviews on GoodBed. Brooklyn Bedding mattresses are recommended by 61% of owners on GoodBed (based on 294 ratings + 9 reviews). Do you have something to say about your Brooklyn Bedding mattress? Write a Review! Brooklyn Bedding is a mattress manufacturer founded in 2008 that is based in Phoenix, AZ in the United States. Brooklyn Bedding is affiliated with R & S Mattress. Additional product details can be found by viewing discontinued mattress models from Brooklyn Bedding. Have an update or correction to our information about Brooklyn Bedding? If so, please take a moment to suggest an edit. Brooklyn Bedding mattresses sold by Brooklyn Bedding come with a 120-night in-home trial. Brooklyn Bedding mattresses are only available online or through Brooklyn Bedding stores. Click here to check for a location near you.